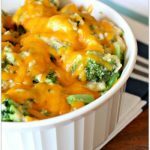 An easy slow cooker version of one of our favorite casseroles of all time–Cheesy Chicken, Broccoli and Rice Casserole! A million steps and instructions. 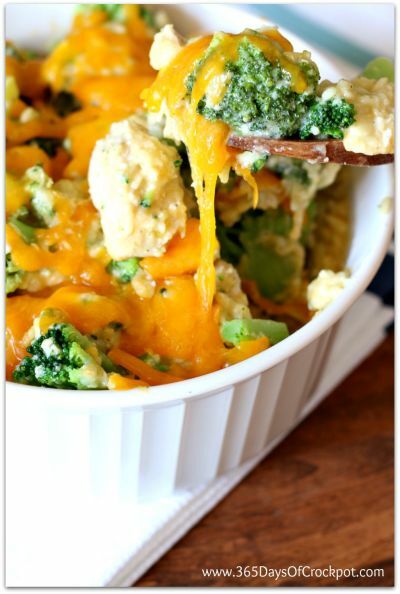 And with this recipe for Slow Cooker Cheesy Chicken, Broccoli and Rice Casserole I promise you won’t be doing that. I finally figured out how to make a successful broccoli casserole in the slow cooker where you don’t have to pre-cook the chicken and you don’t have to cook the broccoli separately. The only thing you have to do is add the grated cheese at the end. If you’re like me, you grew up on casseroles like this! They are comforting and delicious and can feed a crowd. This version contains no cream of soups though and it’s gluten free. If you don’t have a digital scale in your kitchen get one! They are the best. I use them for cooking and baking all the time! 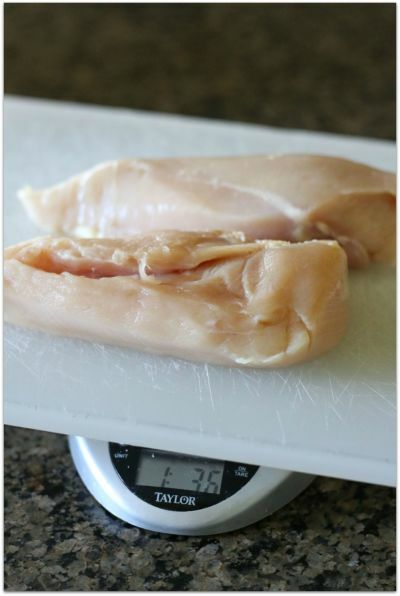 Measure out one pound of chicken breasts. One pound of chicken breasts is about 2 chicken breast halves. Cut the chicken breasts into bite size pieces. Try to cut them as evenly as possible so they can cook evenly. You’ll add the chicken as well as all the ingredients to the crockpot and cook for a few hours and then you’ll get a delicious, cheesy casserole to feed your family. 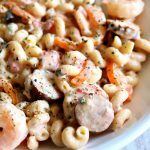 If you’re like me you love casseroles! They just remind me of the good old days of my childhood where Mom would make some concoction and bake it up in the oven. 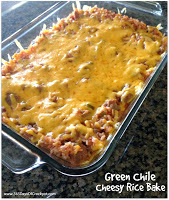 Here are some of my favorite casseroles that can be made in your crockpot! 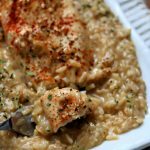 For this Slow Cooker Cheesy Chicken, Broccoli and Rice Casserole I went with my 3-quart casserole crock made by the Crock-Pot brand. I have loved this casserole shaped crockpot for recipes just like this. I love that the crock insert is completely oven and dishwasher safe. I love how if you want to brown the top of a casserole you can do that quickly in the oven after it cooks all day in the slow cooker. Or if you want to bake something in the oven and then put it into the crockpot and keep it warm on the counter, you can do that too. They cost around $40 and I think totally worth the investment! Pour the rice in the bottom of your slow cooker. Pour broth on top of the rice. Sprinkle in the garlic,salt and pepper. 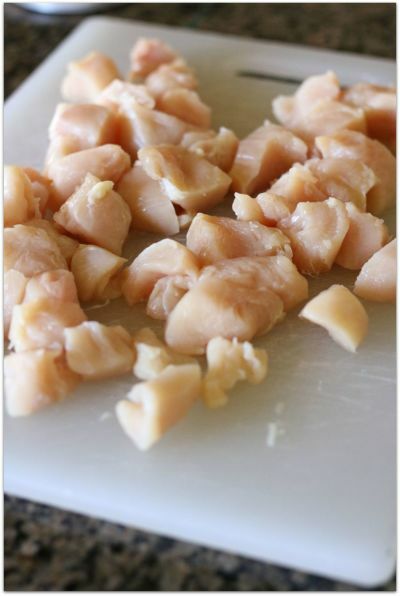 Cut the chicken breasts into small bite size pieces. Spread them evenly in the slow cooker. Evenly place the broccoli on top of the chicken breasts. Cover and cook on LOW for about 2-4 hours, until chicken is cooked through and rice is cooked through. Scoop onto serving plates and enjoy! P.S. 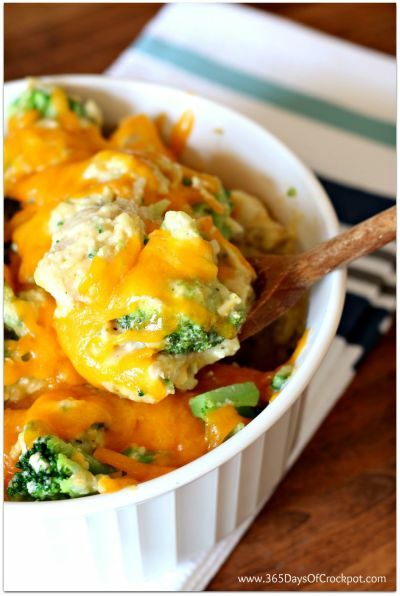 Check out these other casserole recipes too! This was an amazing dish I used white rice and velveeta cheese and it still tasted great. I just added in the nutrition info at the bottom! 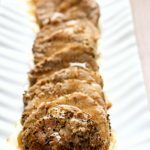 Can you use boneless skinless chicken thighs instead? Can frozen chicken be used? How would that affect cooking time? If the chicken is cut into cubes it should be fine. But if it’s whole chicken breasts it wouldn’t work. I would add 30 minutes to cooking time for frozen. 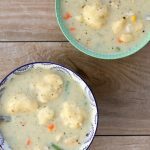 Thanks for a recipe with no cream of chicken (or whatever) soup. We don’t eat MSG and cream soups are usually full of that with other questionable ingedients. I’ve got this in the crock pot now. Do you cook the rice before? no it should be uncooked. 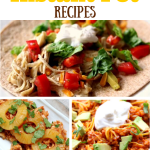 I made this tonight – love how easy it is and that it doesn’t take 6 hrs to cook! I cooked it for 3.5 hrs on low. But my minute rice and the frozen broccoli both were mush but the end. Any idea why? I did add an extra cup of chicken broth which might not have been necessary. I felt the chicken was just nicely cooked.. wasnt quite shredable but was cooked through. Hi there. 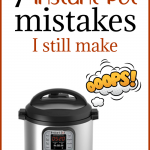 I’ve used many of your crock pot recipes and they have turned out wonderful- thank you. Nutritional information is very important to me and I don’t see it listed on this recipe. Could you please provide it on this one and future ones if possible? Thank you! Why would you ask this? All of the ingredients used have nutritional information right on the packaging, and if not, are one internet search away. After that, the nutritional information is just some addition and division away…..
My My kids loved this one. Added some fresh mushrooms towards the last 30 mins. Wondering if i could substitute brown rice for “cauliflower rice” and if you think what would change anything? 🙂 thanks! My concern is that the cauliflower rice would let off too much liquid. You could try it though and see how it goes! The brown rice wouldn’t work because it takes too long to cook and the chicken would be overdone by the time the rice was cooked. I added some fresh onion and mushrooms for additional veggies hoping for the best! I have made several crockpot recipes that include broccoli. I have had a bumper crop of broccoli this year. My recipes, whether my broccoli is fresh or been in my freezer, the broccoli looks awful. Taste is ok, but the broccoli is pale, floppy, and I would not want to serve this to company. Broccoli gets weird sometimes. I like to quickly steam it in the microwave in a bowl of water or blanch it on the stove. Then I’ll add it to my recipes. That way it retains it’s bright green color and it’s not mushy. Do you have nutritional information on this receipe? Calories, etc? Is the chicken cooked or is it safe to put it in uncooked would lvve to try this. if I want to double the amount of chicken do I have to double all ingredients? Also do I double cooking time? you can just double the chicken if you’d like. Don’t double the cooking time. keep it the same. I have a question. I bought frozen broccoli for this recipe as calls for. But it got left in the fridge. Since the broccoli is not frozen, should i add it later on? Im not sure how long the broccoli would take to cook. Just add it in with everything else…it will be fine. Hi Mary, you don’t need to double the time. It may take about 30 minutes longer though. And yes you can cook on high. Probably about 90 minutes to 2 1/2 hours. I made this last night in the crockpot, left it in on low for 4 hours and it turned out very mushy. You think I should try for a shorter amount of time next time around? Any thoughts on using regular rice, instead of minute rice? More liquid? Longer time? You could probably do that. Regular white rice, I assume? Yes the same amount of water and cook about an hour longer…let me know how it goes! Could I replace the rice with orzo? I’m thinking you could but by the time the chicken cooks through the orzo would be totally mushy. Maybe adding the orzo in later??? I can’t wait to try this! I am curious though, if I can use regular bulk rice, instead of quick cooking / minute rice? Perhaps it cooks a little longer? More liquid? Eagerly awaiting your advice ? I bet regular white rice would work fine. I haven’t tried it though so I can’t say for sure. Let me know! Can you use fresh broccoli? Should I add it in at the same time as indicated in the recipe?? I haven't tried it with fresh broccoli so I can't say for sure. But if I were to try it I would definitely blanch the broccoli first before adding it into the recipe. Good luck! I just used fresh broccoli in mine & it turned out good. The broccoli just broke into smaller chunks as it softened. How does it work out if you use regular (not minute) white rice? this has happened to me at least twice – I see a recipe here, that I was planning to make the LONG way. 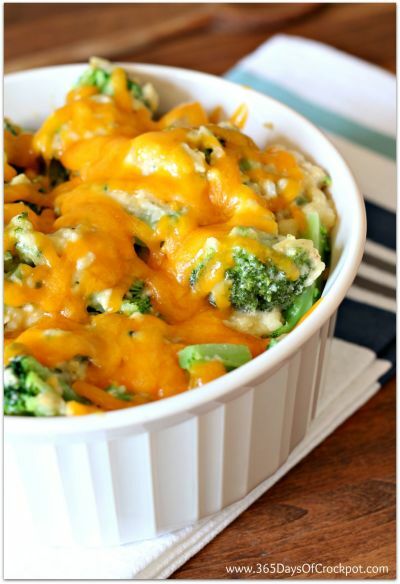 we were going to have chicken broccoli rice casserole tonight – and NOW I am going to make it in the slow cooker – can't wait to try it!! I no likey the long way! Such a great hearty dish – love that it's made in the slow cooker! I know. The slow cooker is the best! So simple and heartening!lovely recipe, pinned for later. Simple and tasty, great recipe. I too am not a fan of recipes that have too many steps or ingredients.